I’m thankful the lamb stall is small. I went out with my husband this morning (he is on vacation) in order to halter the lambs and bring them out into the front barnyard. This was a trial run for me as I will need to take Grainne (pronounced: graw-nia), our Irish Dexter, and the three Shetland lambs out to graze each morning before leaving for work. 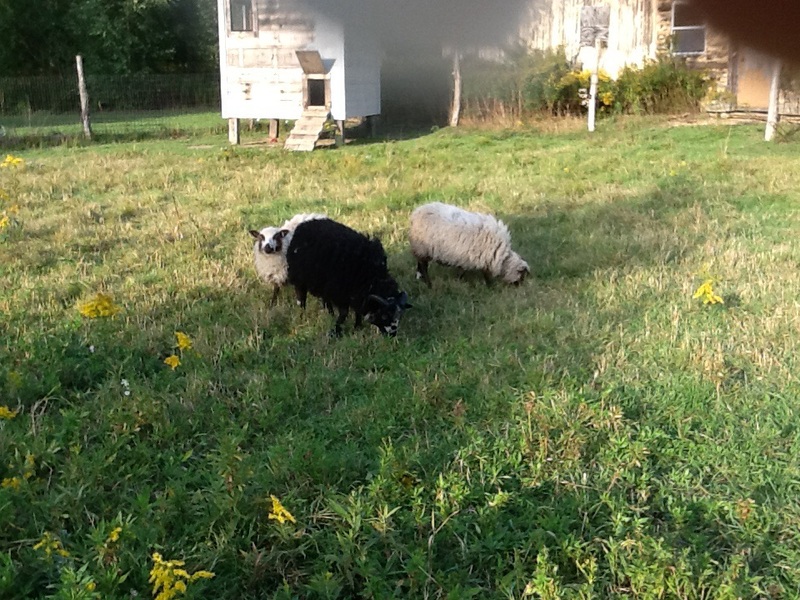 So, Tierney (the black ram), Saoirse (seer-sha) and Nuala (noola) are fearful little lambs. We brought them home on September 18th. They were not handled as babies and are now about 5 months old. We have been using poly halter/leads to take them out each morning and return them to their cozy stall in the early evening. I was able to get them haltered and out with my husband coaxing them from the rear. The task went quite well today. They do know where they are going but do not like the haltering process. The more difficult part is catching them to return them to the stall each evening. Last evening we herded them up early in order to attend a church meeting – let’s just say showers were necessary afterward!